The problem? Too much phosphorus is running into the lake, both from so-called "nonpoint" sources — think roads and farm fields — and wastewater treatment plants. At this point, cleanup is no longer optional. 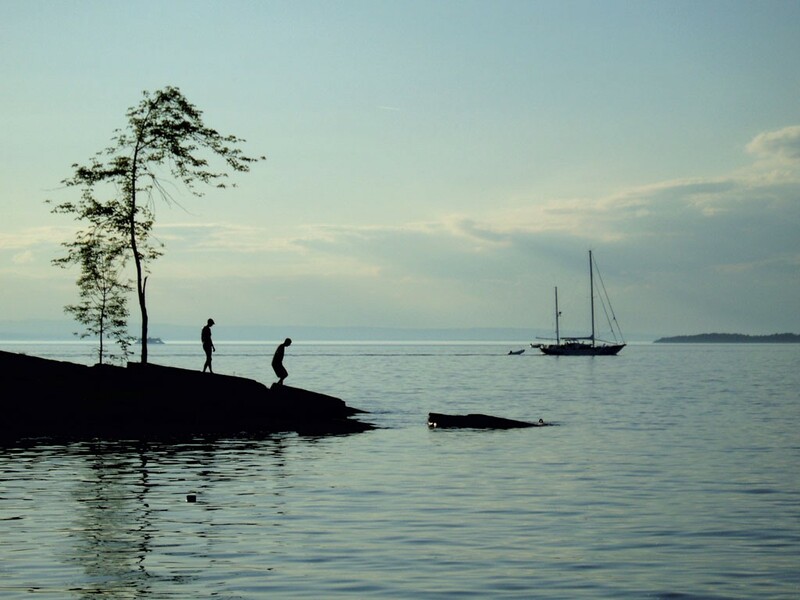 In 2011, the EPA revoked the state's plan to manage the flow of nutrients and pollution into Lake Champlain because it was deemed inadequate. The EPA is overseeing the drafting of a new plan, called the Total Maximum Daily Load, or TMDL, which will detail the amount of phosphorus the lake can safely absorb and the ways the state can limit runoff. Too much phosphorus in the water fuels the toxic algae blooms that grow every summer. At a February meeting with lawmakers, Stephen Perkins, with the office of ecosystem protection in the EPA's Boston office, gave Vermont some good news and some bad. Even if the state went "full bore" on its proposed efforts to clean up the lake, Perkins said, two sections of the lake — the Missisquoi Bay and a section of the south lake — would still have too much phosphorus to be considered healthy. The good news: "In those remaining segments, there's a prayer of getting there," Perkins said, emphasizing that positive outcomes were possible only if Vermont was ready to get aggressive about its cleanup efforts. UPDATE: In November, the state released its Clean Water Initiative, outlining the ways it plans to curb phosphorus pollution in the lake. The highlight reel includes putting in place new ag standards; treating stormwater runoff from developed areas; installing pollution controls along state and local roadsides; investing in wastewater treatment plants; and restoring natural habitats, such as river and stream channels and wetlands. But when the EPA toured Vermont in November, it was with this sobering news: Vermont needs to cut the amount of phosphorus it's dumping into Lake Champlain by 36 percent, according to the feds, in order to comply with the Clean Water Act. In some sections of the lake, the phosphorus runoff needs to be cut by more than 50 percent. That said, Perkins believes that there's a lot of "momentum" behind lake cleanup efforts heading into the new year. He said the EPA will allow the state some flexibility in implementing a new TMDL — while still remaining firm on the outcome. "We haven't handed them a straightjacket, but certainly there's some challenging reductions to be made," said Perkins. The next step: The EPA plans to identify the milestones by which it will grade Vermont's efforts to clean up the lake. One of the first big tests, Perkins said, is the governor's budget. Perkins said both the Department of Environmental Conservation and the Agency of Agriculture will need more boots on the ground to enforce new regulations. How will Vermont pay for all that? In November, the Shumlin administration suggested two new sources of revenue to fund water quality initiatives: a per-parcel fee on new development and a 1 percent increase in the state's fertilizer tax. There might be other ways to drum up money, too. A report out this month from the Vermont EPSCoR Adaptation to Climate Change in the Lake Champlain Basin project found that 65 percent of Vermonters said they'd be willing to pay $40 a year to improve the health of Lake Champlain, either as part of a water utility tax or an added fee on vehicle registrations. The researchers estimated that could raise more than $15 million per year. The original print version of this article was headlined "Feds Push for Cleaner Lake Champlain"